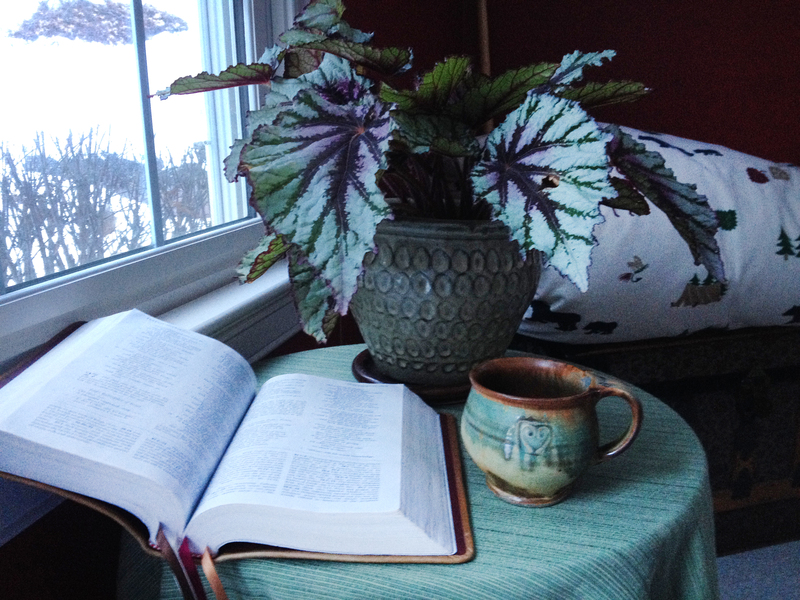 Over many years, I have developed the practice of beginning my day in my prayer room. I make a pot of tea, light several candles, and enter into a time of quiet reflection. Sometimes I read professional journals, sometimes I write in my own journal, sometimes I wiggle and struggle to stay open and quiet, trying to stay present to God and to prayer. In recent weeks, I have felt pulled to checking Facebook or text messages, writing my list of to-do’s for the day, and sometimes my husband joins me for quiet conversation. Today, I woke up early – glad for the half-light of not-quite-daytime – and sat down on my cushions in my prayer room to begin the day. I became aware of a restlessness, and decided to sit with it to see if I could discover what was unsettled within. I looked out the windows to the view I know so well and began to sense a longing simply for God – no reading journals, no electronic checking, no writing. I found myself desiring a return to old practices . . . practices put away months ago in favor of other things. So I went to my bookshelf, pulled out my Bible and my tattered and worn copy of Celtic Daily Prayer, and turned to the Scripture passages and reading for today – February 27. As God would have it, today’s reading is one I have loved and been drawn to for a long time. I had forgotten all about it. As I opened to this reading and this practice, I found myself feeling so deeply grateful for the restless pull that brought me back . . . to a deep sense of home. I’ll share the reading with you and pray for a holy restlessness that brings you to your deep home as well. is for people to find that door – the door to God. and opens to that person’s touch. and open it, and walk in, and find [Him] . . . There is another reason I stand there. to tell them how much better it is in inside. I love this, Susie! Such a good reminder to me, as I have been distracted by many things recently.